By: KuoOffice This webinar was presented on Wednesday, May 16, 2012 by Dr. Helen Smith. Dr. Smith discusses Toxicogenomics. 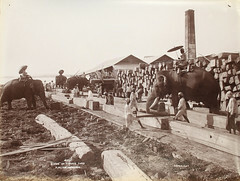 Description: Scene at timber yard. A three-hour trail walk in Switzerland's Engadin Valley takes tourists on a tour of climate change and its real life effects. July 1 - Macau's big casino players turn from high rollers to China's mass gamblers, as they bid to sustain record revenues and fend off regional rivals. Jon Gordon reports.